SLR has recently appointed Lono Tyson to lead the firm’s Waste and Resource Management Services in Asia Pacific. Lono brings more than 20 years of international experience in waste management including planning, approvals, design, procurement, construction, operation, maintenance, monitoring and rehabilitation of municipal solid waste management facilities. 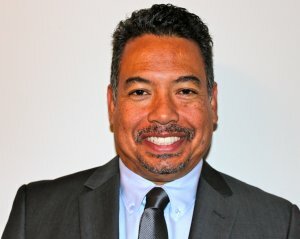 Prior to joining SLR, Lono gained experience from both a consulting and operator capacity including previous roles with Remondis, GHD, County of Hawai’i, the State of California, the Salinas Valley Solid Waste Authority and CH2M HILL. Lono will be focused on growing the team to provide specialist expertise and advice on all aspects of waste and resource management projects including technology development, waste strategy, material recovery facility & waste transfer station design, landfill design, operations & rehabilitation, procurement & construction support, AWT feasibility assessments, and resource recovery & recycling projects. SLR’s APAC Advisory Operations Manager, John Postlethwaite commented “Having Lono on board with the SLR’s Waste and Resource Management team certainly provides a great depth of national and international experience, which builds on the excellent services and reputation SLR’s waste team have. Lono brings expertise across the many elements of waste management, and has a track record of successfully working with clients to deliver whole of project life solutions - covering pre-purchase and due diligence, planning and approvals, design, construction, operations and right through to closure. The WaRM team are very excited to have Lono leading the growth and diversity in our client focussed waste services”.